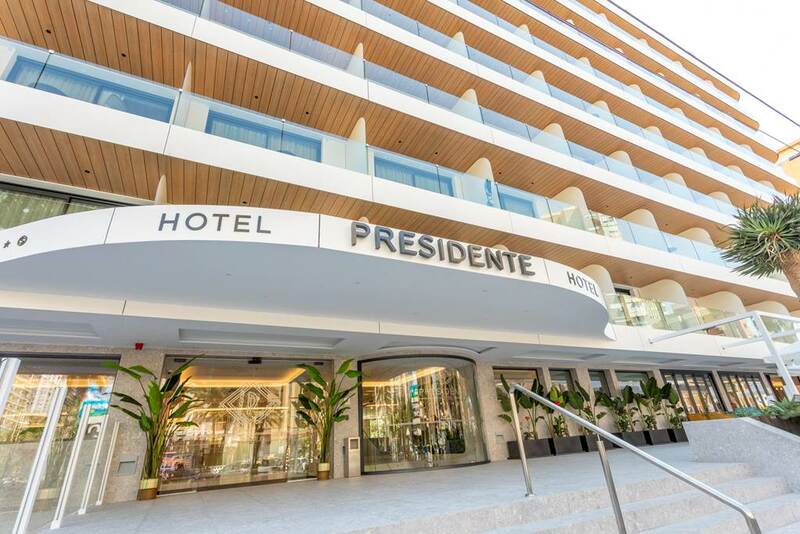 Hotel Presidente sits at the heart of the Rincon de Loix area of Benidorm, with the famous Levante Beach just footsteps away. This friendly hotel is a popular choice with both adults and families who enjoy plenty of on-site facilities and tasty dining options. 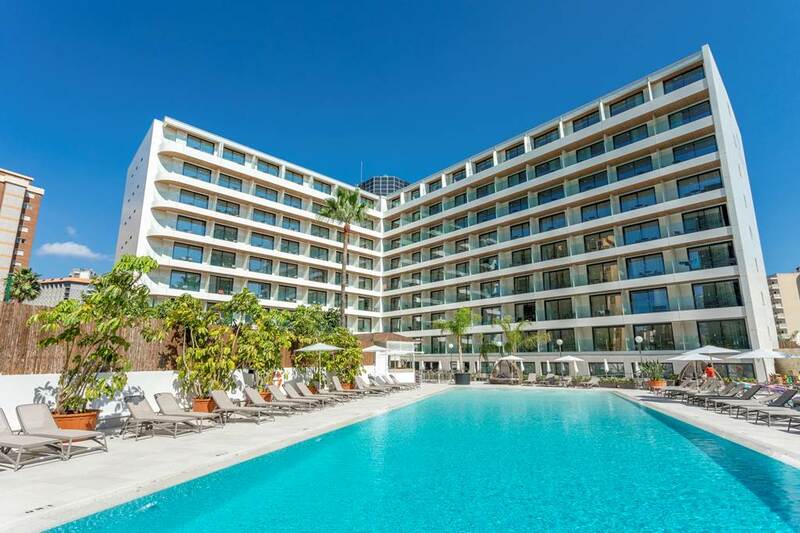 The large outdoor pool is lined with spacious sunbed-filled sun terraces - perfect for chilled-out times working on your tan. Kickback and relax in the poolside Jacuzzis, while the children splash around in their own pint-sized pool. Inside, you have a heated pool and hot tub for cooler, winter days. On dry land, you can join in a game of table tennis or challenge your partner to a spot of pool. Keeping up-to-date with things at home is easy with Wi-Fi available in public areas. The comfortable guest rooms all come with modern touches that enhance your holiday experience, such as air-conditioning, a satellite TV, furnished balcony, and a minibar. On-site restaurant and bars take care of all your food and drink needs. The main restaurant serves up a tasty selection of local and international dishes, while the pool bar is open for snacks and drinks. 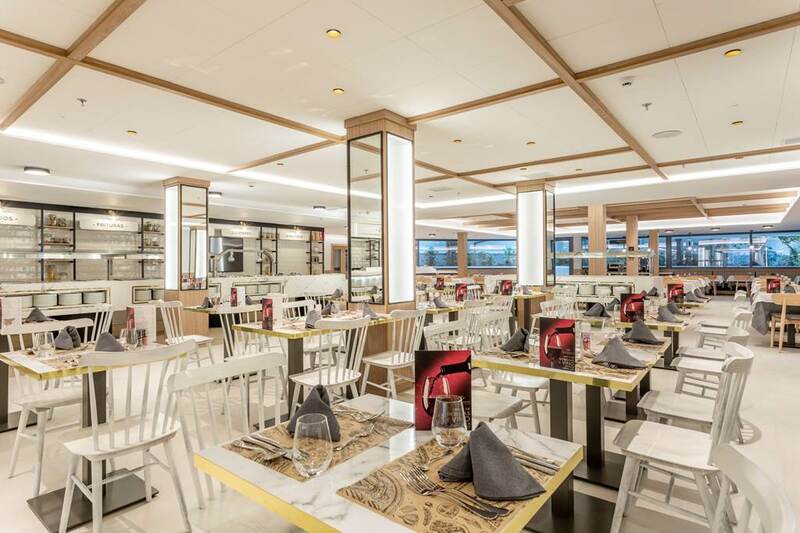 There's also a lounge bar and cafe indoors serving a choice of hot and cold beverages, as well as light bites. The hotel really comes to life after dark with an impressive line-up of live entertainment, including comedy shows and live music. 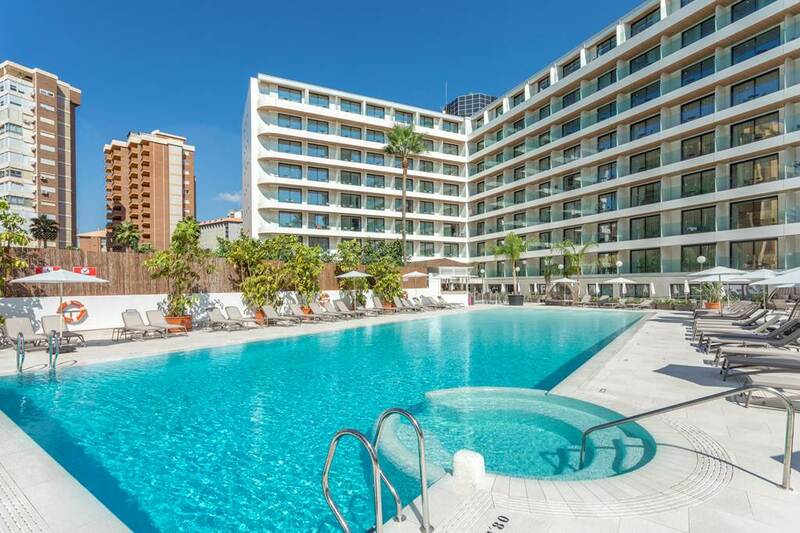 Hotel Presidente is the perfect base for a holiday in Benidorm. Hotel Presidente has: large outdoor swimming pool, sun terraces, sunbeds, parasols, two open-air Jacuzzis, indoor heated pool, hot tub (winter), and children's pool. 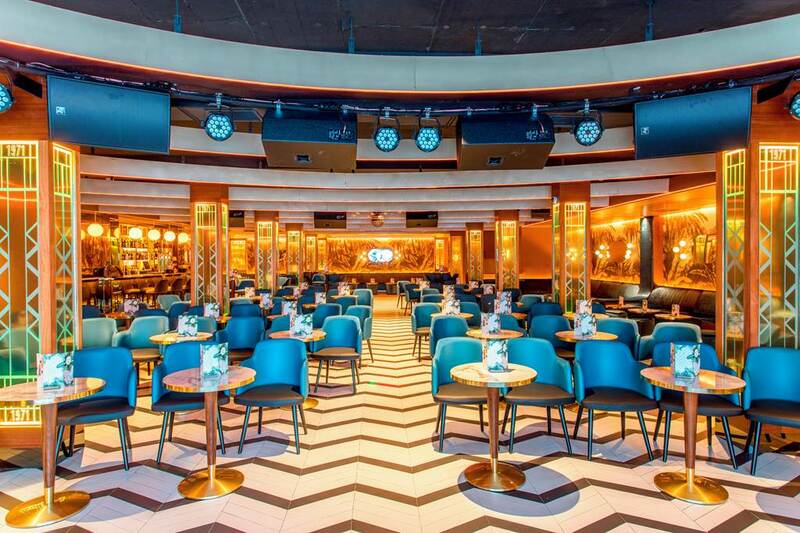 There's also a restaurant, lounge bar, cafe, outdoor bar (summer), TV lounge, 24-hour reception, laundry service, table tennis, and pool table. 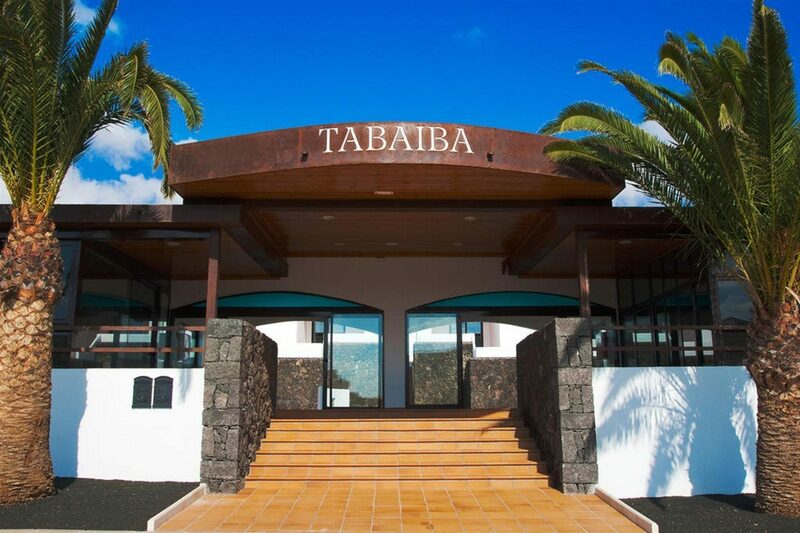 Natural Spa & Wellness Centre offers a menu of treatments and therapies, along with a gym, saunas, water circuit, Jacuzzis, plunge pools, and water jets. Sports-wise, discover tennis courts, table tennis, five-a-side football, table football, petanque, pool, and darts. The Magic Park is dedicated to children and features a Mini Club with activities, slides and ball pools, electronic games, billiards, bowling, and table football. This Benidorm hotel has 292 modern guest rooms. 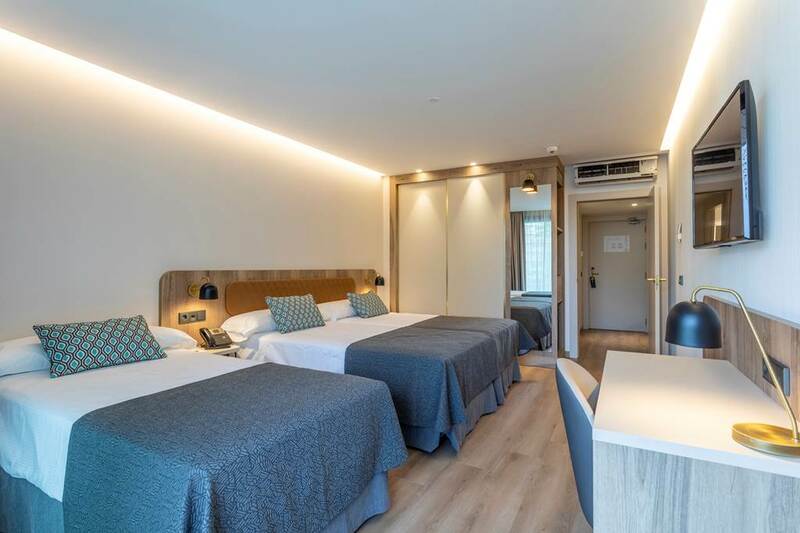 All rooms feature: full bathroom with shower or bath, air-conditioning, central heating, satellite TV, safe (to rent), telephone, daily towel change, minibar, free Wi-Fi, and terrace. 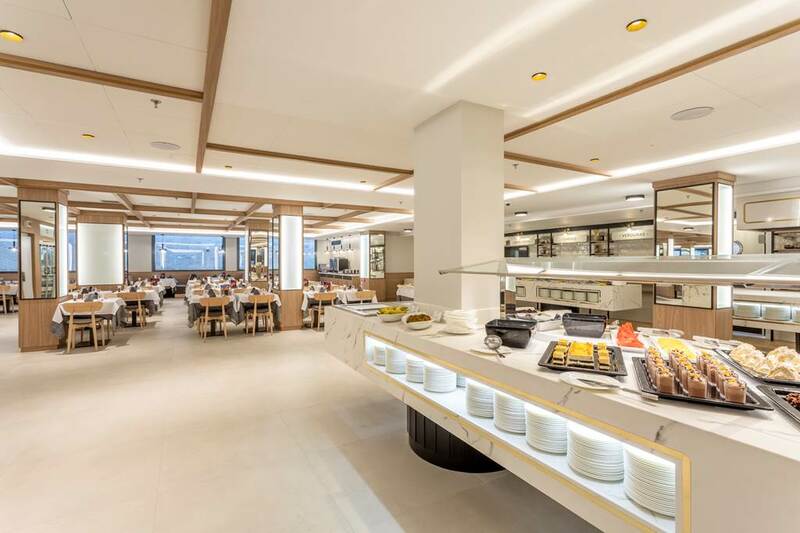 The main restaurant serves buffet-style meals for breakfast, lunch and dinner. 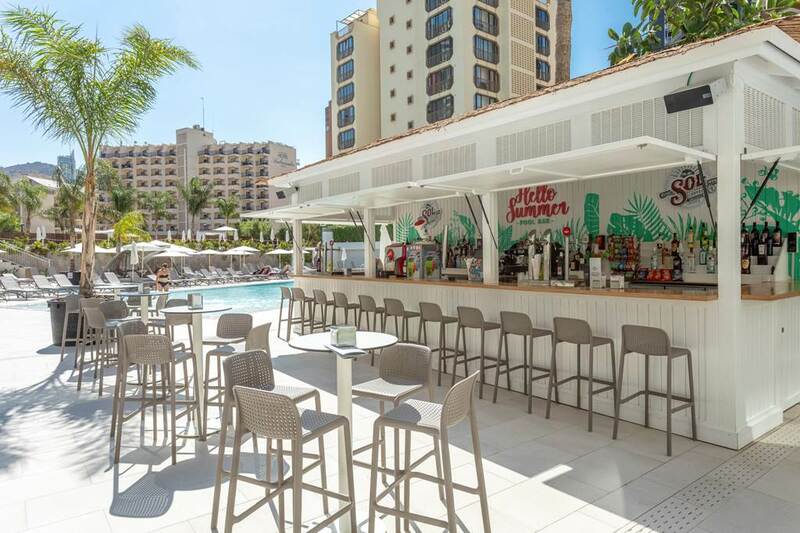 There's an outdoor bar serving a selection of drinks in the summer, as well as the indoor Cafeteria Gallery Lounge Bar (open all year). Summer also brings a lively entertainment programme to the hotel, including Comedy Club UK and Surprise Attack.